List Your Skills – Choose “Skills” from the slide out menu (press the 3 lines in the upper left hand corner) to select your skills that will display as part of your profile. Check out “Certifications to Enhance Your Profile” (below) for more ways to increase your skill set. Keep It Brief and Relevant – Be detailed, yet concise in your bio and be sure to keep your skills and certifications up to date to accurately reflect your current qualifications. Set Yourself Apart – Let your personality come through in your profile and use your bio to make a positive first impression on potential families. 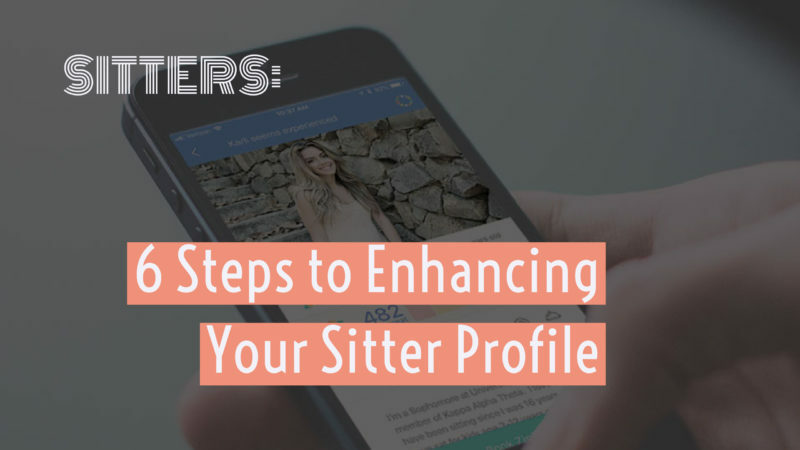 Highlight your personal character and babysitting styles that make you more qualified among other sitters. Proofread – Be sure to review your profile carefully to avoid spelling or grammatical errors. Remember your profile is often the first impression that you have on potential families.